Dance masters have always tried to control – and condemn – what the untutored masses do on the dance floor. In 1884, appalled by the vulgar habits and sloppy styling that had crept into our nation’s ballrooms, American dance teachers formed The National Association of Masters of Dancing. For decades, they tried unsuccessfully to refine or abolish, in turn, the two-step, the turkey-trot, the grizzly bear, the bunny hug, the tango, the foxtrot, the toddle, the shimmy, the charleston and the lindy hop. Whew! They knew that casting themselves as arbiters of taste and as the only authorities on the latest steps was good for 1. their prestige and 2. their business. The chronic problem, however, was that although teachers could monitor what went on in their classes, they had no control over what the fun loving public was actually doing in dance halls and at public dances. It was Marguerite Walz, a Philadelphia dance teacher and Association member, who decided to change that. 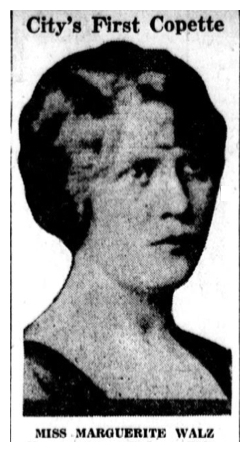 In an article entitled “Unspeakable Jazz Must Go!,” The Ladies Home Journal reported: “Miss Walz went to the mayor of Philadephia in the spring of 1921 and suggested that the authorities should supervise public dancing. The mayor declared a cleanup was due and he appointed Miss Walz policewoman to supervise dancing in conjunction with the Rev. H. Cresson McHenry, who conducts a mission. ‘My duties,’ said Miss Walz,’ are largely the instruction of about seventy-five policemen who are detailed to enforce the dancing regulations. They are taught what is permissable and what is not . . . The police class in censorship is told not to permit cheek-to-cheek dancing, abdominal contact, shimmy, toddle or the Washington Johnny, in which the legs are kept spread apart.” Walz thus became not only the city’s first official dance censor, but the first Philadelphia policewoman . . . all without pay. The Evening Public Ledger used the awkward and slightly deprecatory term “copette” to describe her position. In order to get dancers out of dark, smoky dance halls – there were 4,000 licensed in Philly – and out in public where they could be monitored, the city decided to sponsor outdoor summer dances on the new Parkway, right, and in West Philadelphia. Marguerite’s short film “Etiquette and Dancing” was screened continually during the events and professional dancers were provided as “models” while the city’s police band played waltzes, polkas and very restrained modern tunes. Cash prizes were given to the best – i.e. “approved” – dancers. Although the Parkway was jammed with a crowd of 18,000 dancers in July, Walz made no arrests; the police would step forward and touch offenders on the shoulder and “that was the end of it.” At first demanding that men wear jackets, she settled for banning males with collarless shirts. 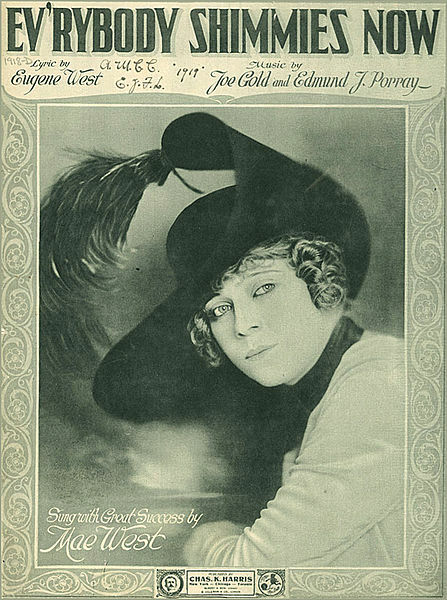 At the Dancing Masters’ convention in New York in 1921, Miss Waltz could cheerfully report, “ . . . block parties, with thousands fox-trotting on the streets had improved the reputation of dancing in her city.” Was this anything more than optimistic posturing? We can’t know. How was a local dance teacher able to gain media attention and rise to national celebrity status? How, not long after the frankly unenforceable Prohibition Amendment had taken effect, was the city able to spare seventy-five officers to police public dances? 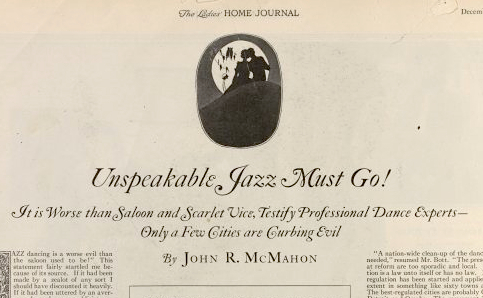 Perhaps frustrated reformers saw this as one small step in trying to control the social upheavals caused by jazz music, short skirts, technology, bootlegging and general lawlessness that threatened the complacency of 1920s Philadelphia. Evr’ybody shimmies now, ev’rybody’s learning how. Brother Bill, Sister Kate, shiver, like jelly on a plate. moves evr’ything except your feet. shake the shimmie and they shake it bold. looking forward to more wonderful stories..